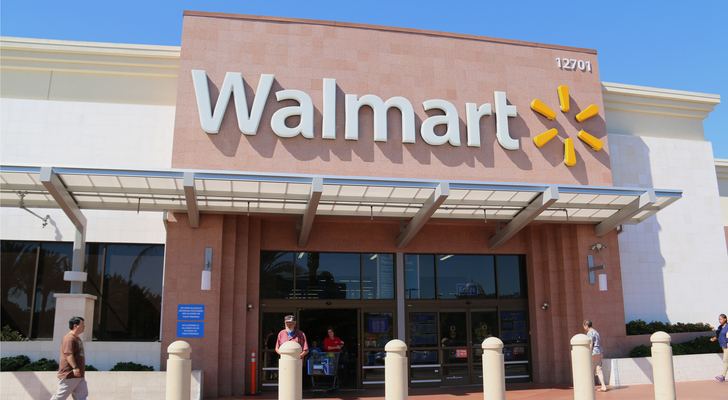 Despite solid second-quarter earnings last month, Walmart (NYSE:WMT) stock is down 3.2% year-to-date. Walmart stock tumbled in May after it announced it was buying a 77% stake in the Indian e-commerce giant Flipkart for $16 billion. Investors weren’t happy with this deal. Since Flipkart is losing money, analysts think the deal will drag down short-term earnings. And as InvestorPlace contributor Dana Blankenhorn noted in May, the deal valued Flipkart at more than six times sales. But in the long-run, buying Flipkart could have a big impact on Walmart stock. Walmart now holds a strong position in India’s fast-growing economy. According to Forrester Research, Flipkart is Number 1 in Indian e-commerce, with a 39.5% market share. Walmart’s biggest rival, Amazon.com (NASDAQ:AMZN) accounts for 31.5% of e-commerce sales in India. Flipkart disagrees with Forrester and claims it actually holds 60% of the market. Things are different in the U.S., where Amazon accounts for 49.1% of e-commerce sales, much higher than Walmart’s 3.7%. Still, Walmart and Flipkart cannot rest on their laurels, since Amazon has gained market share in recent years while Flipkart’s has fallen. Some even think Amazon has surpassed Flipkart in India. The two will battle each other for market share in India. Since India is so huge (1.3 billion people), the two behemoths are willing to sustain heavy losses for years. As I mentioned last month, the Boston Consulting Group thinks India will be the world’s third largest consumer economy in 2025. To compete with Amazon, Walmart might need to learn something from Amazon. This might even mean copying Amazon. It looks like Walmart and Flipkart are doing that in India. Flipkart recently bought Liv.ai, a speech recognition startup specializing in Indian languages. The company’s technology covers nine of India’s biggest languages. How will this benefit Flipkart — and Walmart stock? This will help Flipkart expand into smaller cities and rural areas in India, where people are more comfortable using Indian languages instead of English. Voice technology will also enable people who cannot read and write to shop online. According to India’s Economic Times, Flipkart could begin using voice technology six to eight months from now. Users will talk to their smartphones instead of typing. “Given the complexities in typing on vernacular keyboards, voice will become a preferred interface for new shoppers,” said Flipkart CEO Kalyan Krishnamurthy. Flipkart could also use this technology to create an Amazon Alexa competitor. Smart speakers help e-commerce companies like Amazon sell more. According to Consumer Intelligence Research Partners, people who own an Amazon smart speaker spend 66% more on Amazon each year. The same thing could happen with Flipkart if it created its own smart speaker. And more spending on Flipkart would benefit Walmart stock. To compete with Amazon and boost sales, Flipkart rolled out its own loyalty program, Flipkart Plus, on Aug. 17. Amazon Prime boosts Amazon’s sales. Consumer Intelligence Research Partners found that Amazon Prime members in the U.S. spend on average 30% more than Amazon users with no membership. And Amazon says 35% of orders in its Great Indian Sale in 2017 came from Amazon Prime subscribers. Flipkart Plus is a bit like Amazon Prime. Flipkart Plus members receive free shipping, faster customer support and early access to shopping festivals such as Flipkart’s Big Billion Days. They also can win special offers from Flipkart’s partners such as Gaana (music streaming), Viu (video streaming), Ixigo (hotels and flights), and Zomato (food delivery). Users earn “Plus Coins” by shopping on Flipkart, receiving one coin for every 250 rupees ($3.50) spent. A shopper must spend 12,500 rupees ($175.03) and earn 50 Plus Coins to become a member. In contrast, Amazon Prime membership costs 999 rupees ($13.99) per year in India. This isn’t cheap relative to India’s average household spending, which is 2,630 rupees ($36.83) per month in urban areas and 1,430 rupees ($20.02) a month in rural areas. This is the second time Flipkart has launched a loyalty program. The company launched Flipkart First in 2014 but the program lasted only a year. If this succeeds in boosting sales, Walmart stock will rise. Is Walmart Stock a Buy? Walmart stock did not react positively to the Flipkart deal, which suggests investors are pessimistic about the company’s prospects in India. But this pessimism creates an opportunity for those who hold Walmart stock. With expectations low, the chance of Walmart surprising on the upside is higher. If this happens, it would boost Walmart’s stock price. Also, the market may sometimes focus too much on the short-term instead of the long-term picture. Amazon’s success is in large part due to Corporate America focusing on short-term profits instead of long-term market share. This could be the case with Wall Street’s view of Walmart and Flipkart. As India grows wealthier, Indians will spend more. If they shop on Flipkart, Walmart will profit. And keep in mind that Walmart is a low-beta stock, which means it would hold up better in a recession. Most technology companies, on the other hand, are high-beta stocks. Article printed from InvestorPlace Media, https://investorplace.com/2018/08/walmart-wmt-stock-flipkart-learn-from-amazon/.